Another very busy Science Alive! 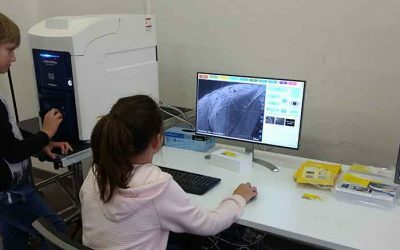 satellite event saw around 120 kids getting hands-on experience with our TM4000Plus scanning electron microscope. 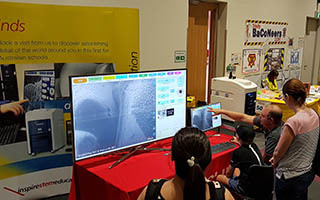 Jess and Graeme drove to Mt Gambier to take part in the latest Science Alive event. 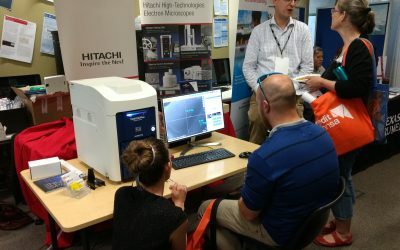 It was a great day with a steady flow of visitors getting hands-on with the TM4000s. 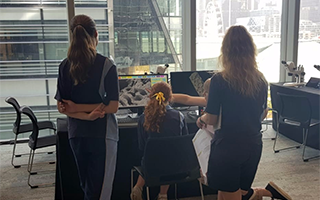 For four days students from schools all around greater Sydney descended on the International Convention Centre to take part in the IMC19 Outreach Learning Space. 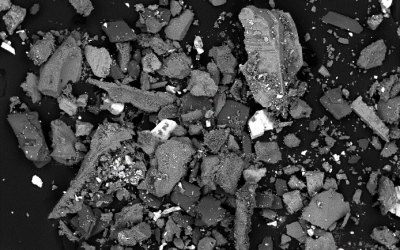 The 4th Science Alive! event, spread over three days, kept us very busy with around 20,000 attendees. An estimated 500 people got hands-on experience with our SEMs. Our third Science Alive! satellite event for 2018 was held in Whyalla. Like the events before it, it was a huge success with more than 2,300 attendees. 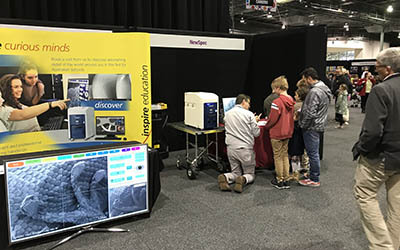 Over 80 secondary school students participated in the APPEA Youth Program run during the 2018 APPEA Conference in Adelaide. 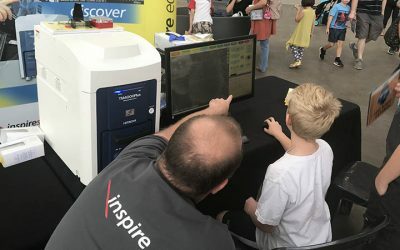 Around 4,000 people attended the Science Alive! 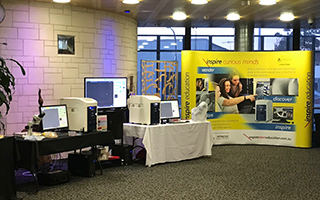 event in Playford, with approximately 120 children having a turn on our Hitachi TM4000Plus. Several thousand people attended the Science Alive! event at Tonsley. 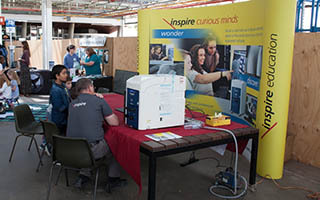 Over 100 children looked at a European Wasp with our Hitachi TM4000Plus. The Mathematical Association of South Australia, and the South Australian Science Teachers’ Association hosted a conference for STEM teachers in years 6 to 11.